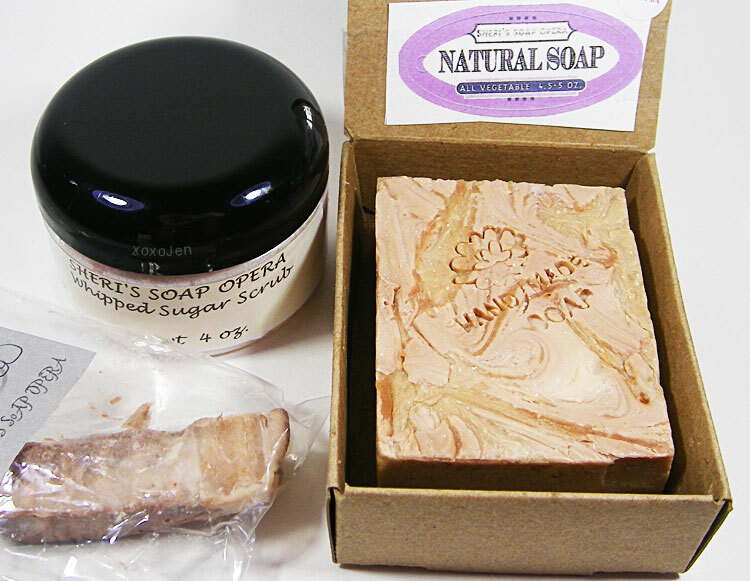 The soap and scrub are both scented in pink sugar, my very favorite scent! 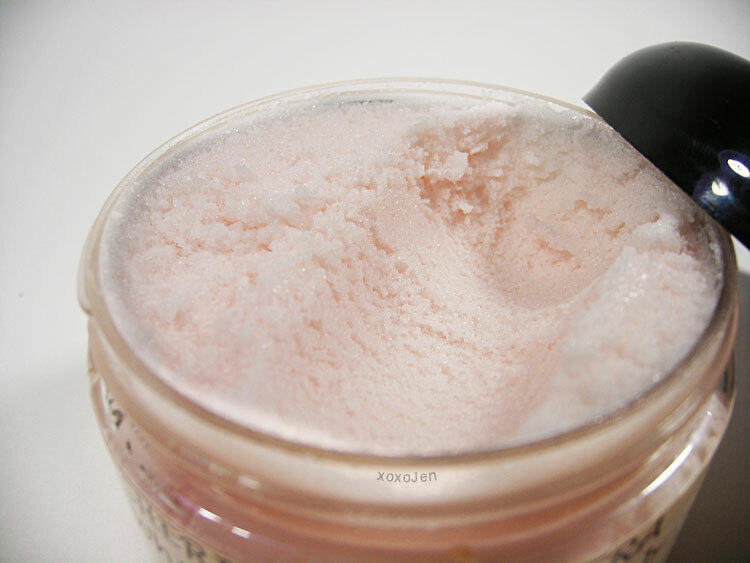 Sherri's dupe is excellent! Noms! Bar soap: cold processed, very creamy with great lather. I love it! Freebie: a slice of orange creamsicle soap, it smells yummy and is just as nice of a soap as the pink sugar bar. See the scrub close up! Both of these photos were taken after use, I just could not wait - had to use them immediately! :) The soap had a piece about a quarter inch thick cut off of one end and the scrub has a huge scoop out of it. Many thanks to Sherri, for wonderful products, fast shipping and great customer service!